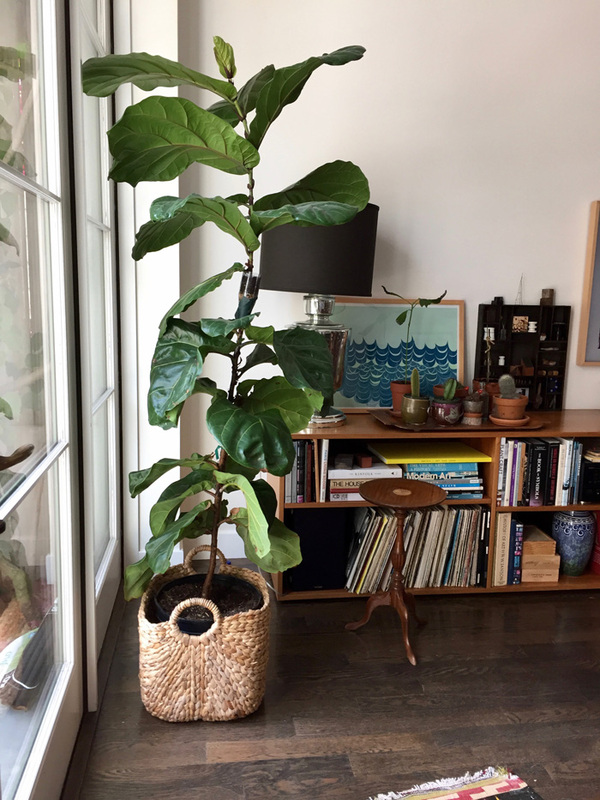 This winter I bought a 50 dollar fiddle fig tree from Home Depot -a four and a half foot, single stalked guy that was in pretty good shape, albeit a little mangy at the bottom. To my delight, it took off, like majorly. 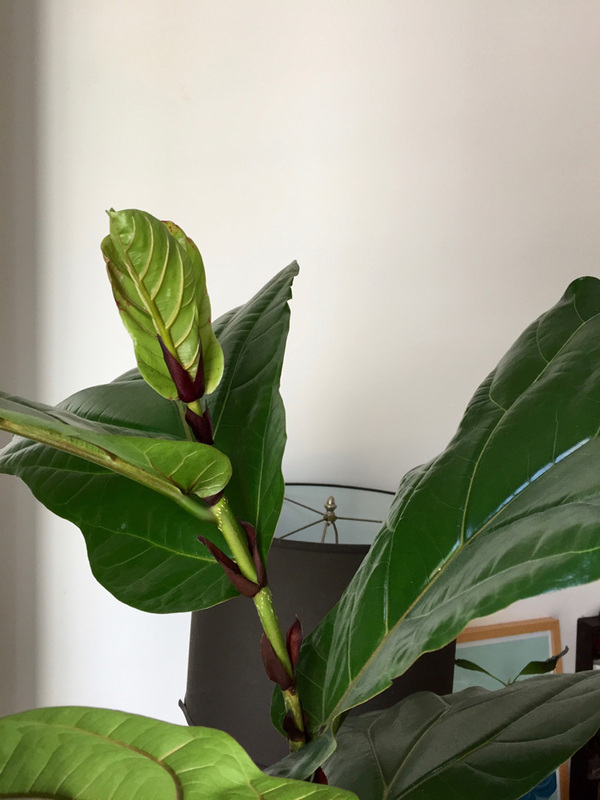 Since buying it, I've gotten four new tiers of beautiful, enormous leaves. 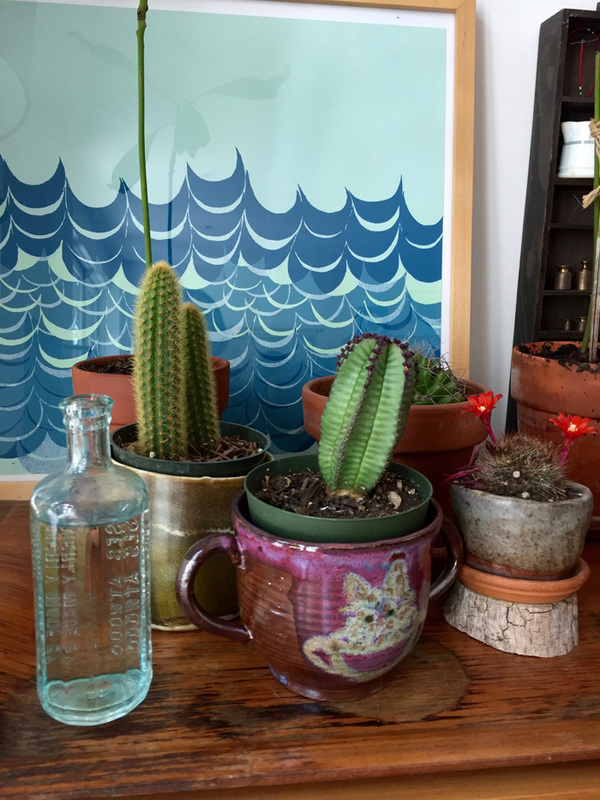 It grew so much that it quickly became time to do something about its shape before it got too tall and leggy. 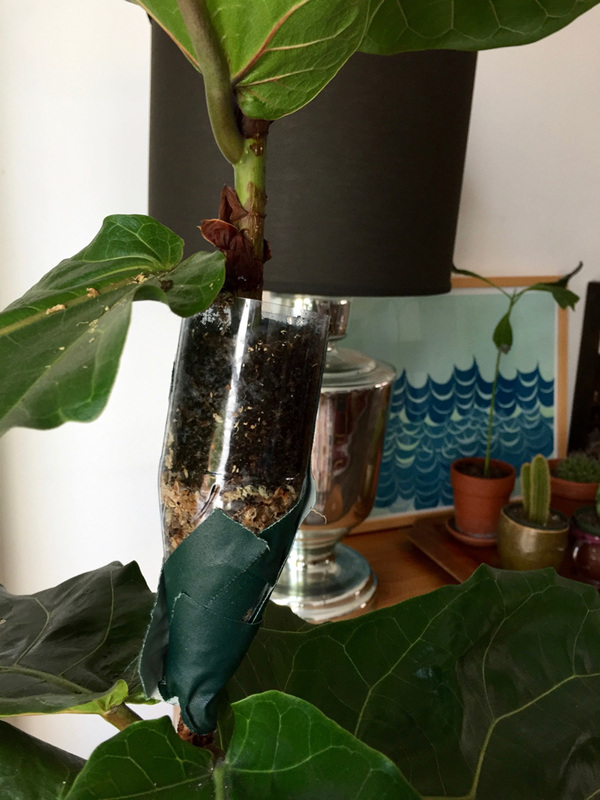 I found this method of dividing a fiddle fig into two on youtube. This seemed like an obvious way to go if I can both encourage branching on the lower part and get a second starter tree too. I used a soda water bottle and gaffers tape to make my vessel. Roots should take about 6 to 8 weeks to form and be ready to be cut and planted. The most critical part of this operation is not to let the dirt dry out in the root vessel. To make sure I don't forget, I keep this bottle of water on a tray next to the tree. This way, I'm sure to water daily, and sometimes even twice!